This is the collection we've been eagerly anticipating at Chelsea Doll. A collection that pays homage to the decade of style, the 1920s. Yes, The Roaring Twenties is a celebration of flappers, jazz and feathers! The 1920s symbolises the decade that fashion entered the modern era. Recognising this, the jewellery in our collection focuses on elegance and style, including feathers of all varieties, hair pieces, long layer chains and pearls. 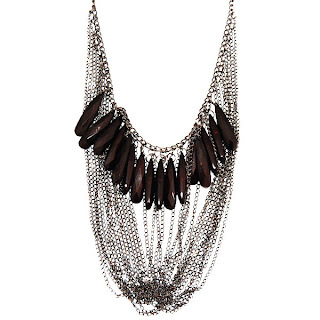 We adore this Multi-Chain & Stone Drop Necklace, a true 1920's statement piece. Teamed with a minimalist top and low-key earrings, this necklace will do all the talking! Priced at £12, it's the perfect way to update your wardrobe. 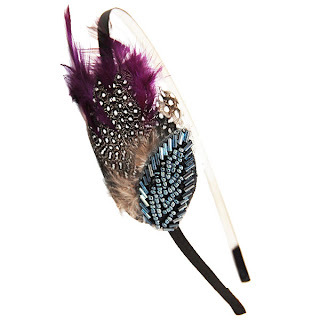 The Fifi Feather Hairband personifies the 1920s completely. A beautiful combination of purple and blue feathers, furs and beads, it adds a touch of flair and vibrancy to A/W styles. We've worn ours with a jumpsuit to jazz up the clean, asymmetric look. The amazing part is that it's priced at just £9, an absolute steal! 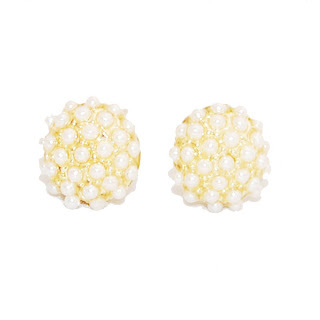 These Pearl Ball Earrings are gorgeous. Purely understated, small pearls with a gold stud; they're the perfect tonic to the fussier, eccentric 1920 pieces. Priced at £5, they're an affordable way to shop the trend! Our favourite piece from The Roaring Twenties collection, though, is this stunning Antique Silver, Crystal & Pearl Bracelet. Such a striking and graceful piece, the silver setting and pearls add the coveted, glamorous 1920s feel. It's definitely an investment piece and one to be worn again and again and priced at only £10 it won't harm your budget! The Roaring Twenties collection is the perfect way to embrace the most unique and elegant decade of the twentieth century. The decade fashion remembered. Re-live the 1920s in all its finery!